As a Mother and Early Childhood Educator, I have always been interested in finding ways to engage our children in play. 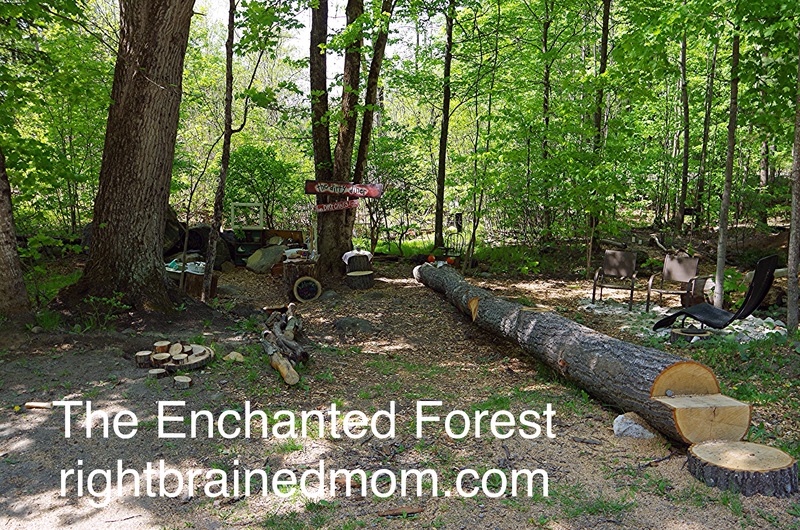 I love the outdoors, love to get messy and thought that the nice little wooded area in the front of our house would be a great place to create a variety of ‘play stations’ for our kids. Each area has been made with almost all recycled or ‘found’ materials. It’s a work in progress but I invite you, if you’re interested, to follow along as it continues to grow! And if you’re creating a space of your own, for your classroom or centre, I’ll be sharing free printable templates on this blog soon! I absolutely love this! You are amazing Brandon! Thanks for sharing. Bran, this is amazing!! I will be following and love to see what my incredibly creative friend is up to! Love you so much. You are such an inspiration!! You are so creative Bran. For those who know you there is no explanation needed for those who don’t know you there is no explanation. We all have our time with depression and being in nature is the best medicine. So, go and play and get dirty momma! You rock! Wow!! I love this!! Wish my kids were younger so I could replicate this! !